Even the most luxurious hotels are constantly looking for ways to modernize and enhance the guest experience. Gansevoort Hotel Group, whose New York City hotels already boast coveted city locations, rooftop pools, bars and lounges, landscaped terraces and huge event spaces, is no exception. Sometimes the smallest upgrades can make a huge difference, and in Gansevoort’s case it was one that gave their establishment a “lift,” so to speak. Gansevoort had already been using digital signage in the elevators of their hotels – managed through USB drives – but were looking for a more convenient solution that remained affordable. CrownTV, whose easy-to-use digital signage software is designed with the user in mind, was the perfect fit. 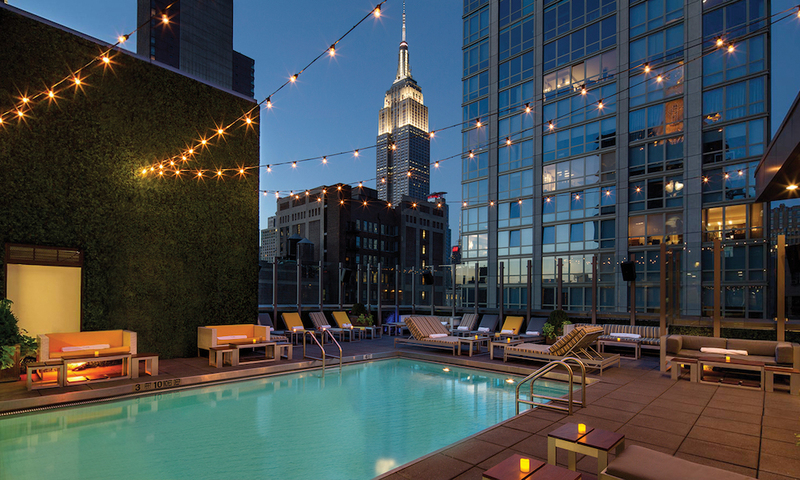 CrownTV equipped Gansevoort’s two New York City hotels, one in the trendy Meatpacking District and the other on Park Avenue, swapping the USB drives for digital signage players and software. 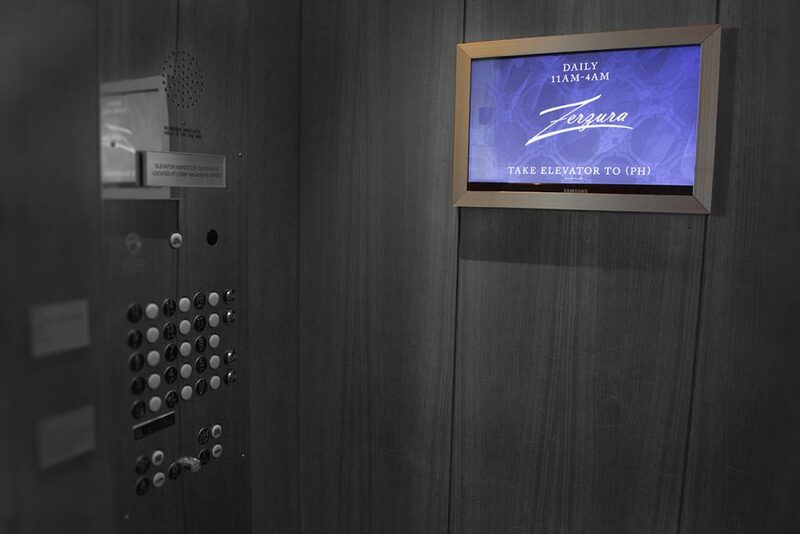 Gansevoort uses digital signage primarily to make guests aware of what their hotels have to offer. They couldn’t have chosen a better location to do so than the elevators – a spot every guest encounters multiple times a day. “We use CrownTV for promotions, upselling and programming awareness. It allows us to showcase features on the property,” Cutter Lakind, Gansevoort’s Digital Marketing Manager, told CrownTV. Gansevoort has plenty to promote on its screens, like the Exhale Fitness + Spa, offering spa therapies and fitness classes, and The Drift, a beach-inspired bi-level rooftop bar and lounge. Promoting these amenities on screens in the elevators – a hard-to-miss spot – ensures guests are aware of what’s available to them and how they can make the best of their stay. Guests are sure to never miss a party, have to ask about operating hours or even wonder if they’ll need an umbrella outside, as the screens also display the local weather. The technology “has enabled guests to stay aware of current happenings and promotions on the properties,” Cutter added. Gansevoort Park Avenue’s rooftop pool, The Drift. The hotel often holds events on the rooftop space and promotes them on its elevator screens. Printing out static signage to promote one-time happenings is not the most efficient strategy, as it requires a significant amount of time and money for a sign that will only be in use temporarily. Not to mention, if event details change, updating a printed sign’s content is tricky. Digital signage, on the other hand, makes it easy to both create and update content whenever necessary. Although Gansevoort had been using USB-operated digital signage before, using a digital signage player and a cloud-based dashboard to manage content has numerous advantages over using USB drives. For Gansevoort, the primary advantage has been the ability to update their content quickly, remotely and easily. “We find it very easy to manage our content and settings. The interface is intuitive and well-designed,” Cutter said of CrownTV’s technology. Digital signage is well suited for time-sensitive content that can change on a whim, like event details or operating hours. With CrownTV’s interface, all Gansevoort needs to do to update their screens is log into the dashboard and make a few clicks. To make the operating experience even simpler, Gansevoort heavily utilizes content scheduling, allowing them to program their content in advance and then let it run. Gansevoort also makes great use of video and slideshows, displaying montages of the hotel’s pristine rooms, rooftop pools and bars, fitness studios, lounge areas and more. Rave reviews of the hotel from outlets like Yahoo! Travel, Curbed and TravelChannel.com accompany the videos. Mouth-watering food and beverage photos also grace the screen, enticing guests to try out one of the hotel’s restaurants. 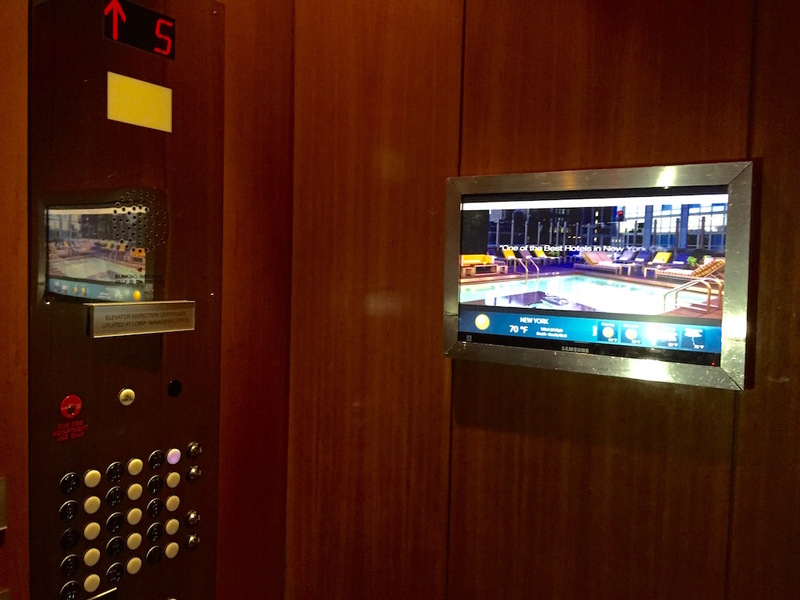 Digital signage has turned Gansevoort Hotel Group’s elevators into information hubs, for the benefit of both the hotel and its guests. Guests get to see what’s available to them on the properties, and the hotel enjoys increased patronage at its pools, bars, spas, restaurants and events. It’s a mutually beneficial tool that Gansevoort highly recommends, not just for the hospitality industry but for businesses in general. 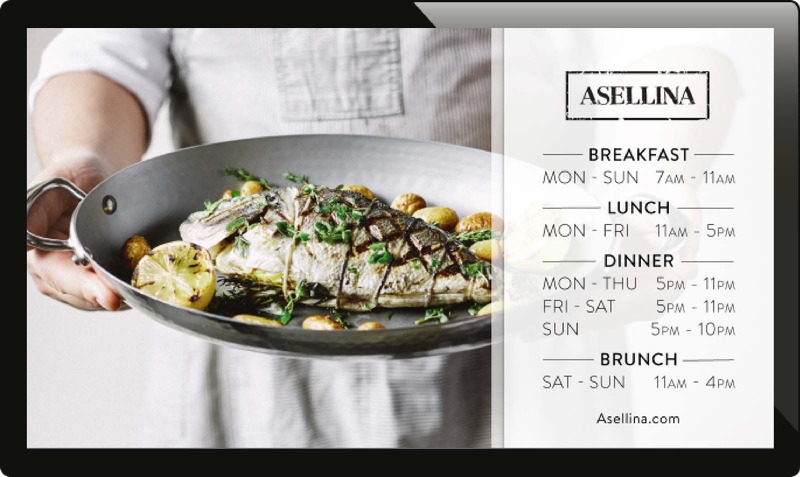 Add digital signage to your hospitality business. Request a demo of CrownTV’s software today.